If you decide to visit this museum with a baby in a pushchair then your first challenge is to get up the steps and through the heavy front doors. Granted there are only a few steps, and a kind security guard was on hand to help with the ones on the inside of the heavy doors, but it’s clear from the start that you’re entering a historic building rather than a shiny, purpose-built museum. There are further short flights of steps (usually only 3 or 4 steps each time) in other parts of the museum, but I found that there were plenty of volunteers, both staff and visitors, to lend a hand with the pram in each case. Accessibility aside, the Museum is a mixture of traditional exhibits and some more tech-y, interactive ones. From the lobby, you enter into a reconstruction of the original Bank Stock Office, designed in the eighteenth century by Sir John Soane. Besides the history of the Bank of England and its architecture, there are a number of exhibits in this room explaining the effects of inflation on the economy and the measures taken by the Bank to control it. To illustrate the concept of inflation, you can try your hand at keeping a hot air balloon on course, an interactive exhibit which seemed popular with visitors young and old. Other highlights of the Museum include: the banknote gallery and exhibits explaining how banknotes are made, their security features and what happens to old banknotes; a place where you can try to lift a real gold bar; collections of coins through the ages, including an explanation of what constituted a British pound pre-decimalisation; and a display relating to the author of The Wind in the Willows, Kenneth Grahame, who worked at the Bank of England for almost thirty years and was its Secretary for a decade until his retirement in 1908. The Bank of England Museum is a great place for older children (and adults) to learn about banking in a clear and manageable way, with lots of opportunities to interact with exhibits. The Museum is not one of the best we’ve been to in terms of visiting with a baby, as it’s not all on one level and had a quiet, almost studious, atmosphere in places (that could be because I visited straight after lunch and there were only a few other visitors, it was getting busier when I left). Nevertheless, the staff were very welcoming and willing to help with lifting the pushchair up and down stairs. Activity sheets targeted at different age groups are available at the Museum and on its website for children and teenagers visiting the Museum. 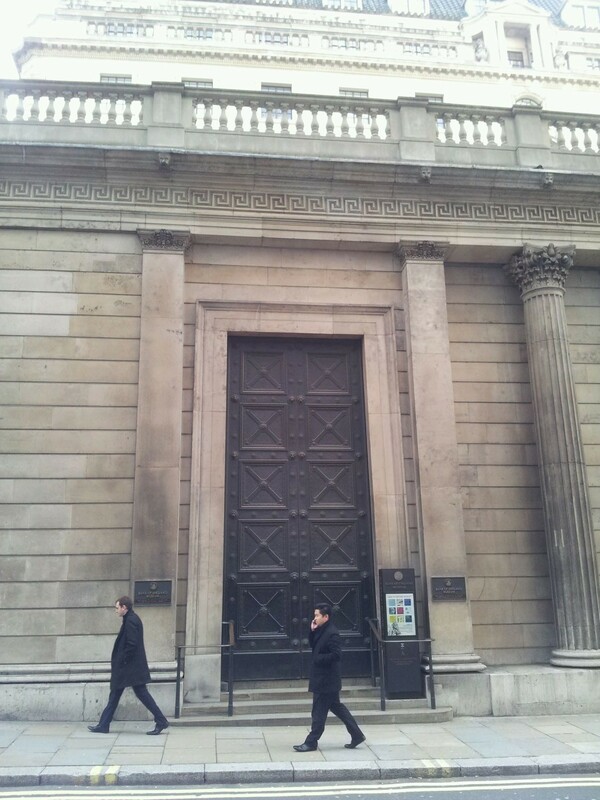 The Bank of England Museum does not have a café. 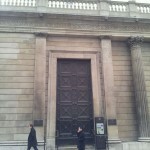 However, it is located in the heart of the City of London and there are lots of cafés and restaurants in the vicinity. 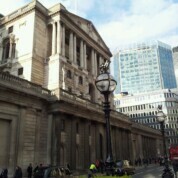 The Bank of England Museum is open Monday to Friday, 10am to 5pm. It is closed at weekends and on Bank Holidays. By train: The nearest underground station is Bank (Central, Northern, Waterloo & City Lines, Docklands Light Railway). The following stations are also nearby: Monument, Cannon Street, Mansion House (all on District and Circle Lines). The closest National Rail stations are Liverpool Street, Cannon Street and Fenchurch Street.